Selling on Amazon is a great way to get into e-commerce, especially if you want to sell products online but do not have the desire (or means) to build out your own selling platform, apps and online store. If you choose to sell on Amazon, you gain instant access to millions of shoppers – 95 million in the U.S. alone – with the ability to list products for sale as soon as they are available, with just a few clicks. There are many benefits and few risks in choosing to sell through an online powerhouse like Amazon, a company that has been ranked #1 by its customers in customer satisfaction in the Foresee Experience Index Top 100 Brands and Holiday Editions (even coming in ahead of customer service powerhouses Nordstrom, Tiffany and other luxury brands) for nine consecutive years. Whether you are an individual who makes unique handmade items or you own a brick-and-mortar business and are looking to become more competitive by selling your products online you will have no problem finding a selling tool from Amazon that will work for you. Before you register, decide what products you would like to sell. There are more than 20 product categories that are available to all sellers and at least 10 more exclusive categories for Professional Sellers. Sellers can list items for sale in any of the 20+ general categories without Amazon’s approval but must submit items that apply to exclusive categories for Amazon’s approval. Once you decide which plan is right for you, register and start listing! Once you register you will follow a simple, four-step process. List your items. You can list them one at a time or use bulk tools to add large batches of items if you have a Professional selling subscription. Customers can see your listed items as soon as they are up on Amazon.com. Many Amazon customers use tools like one-click purchasing to make quick, worry-free purchases. Make sure that your offer is listed accurately and only use high-quality images of your products. Amazon will notify you when an order is placed for one of your products. You can handle the shipping yourself or use Fulfillment by Amazon. Get paid! Amazon will deposit your earnings into your bank account at regular intervals and of course notify you when your payments are sent. Product sales made quickly and easily with Amazon will only serve to grow your business. Both Professional and Individual sellers can add new products to the Amazon catalog, have Amazon handle customer service, shipping and fulfillment (with Fulfillment by Amazon) and sell products in the U.S. and Canada. Professional sellers can also use bulk listing and reporting tools from the Amazon Marketplace Web Service, customize their shipping rates and offer special promotions and gift wrap options for products in certain categories, and their products are eligible for top placement on product detail pages. Vendors selling as Individuals or Professionals are both eligible to use Fulfillment by Amazon. 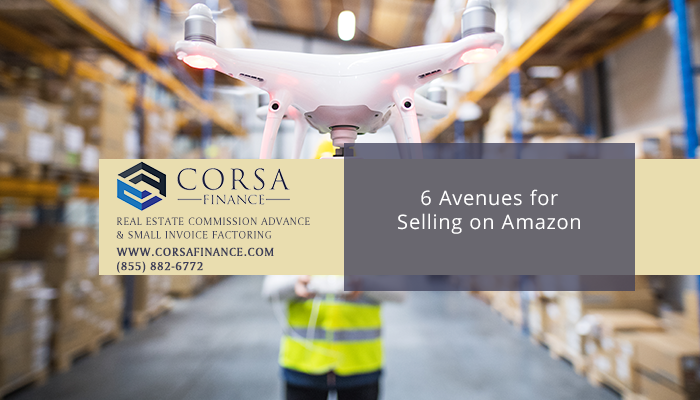 When sellers participate in this program, Amazon acts as warehouse, distribution center, shipping and customer service departments, leaving business owners free to focus on other activities. This can be a great solution for scaling a business and reaching more customers without making huge investments in warehouse, transportation and shipping solutions. If you are a manufacturer or distributor you can list your full selection of products and reach millions of business customers by selling on Amazon Business. As an Amazon Business vendor, you can customize your offering with access to pricing, brand-building and business profile features tailored to the needs of your organization. Amazon Business vendors can also utilize Fulfillment by Amazon, integrated inventory and listing tools, and multiple advertising options. Amazon launched a category for people and organizations that sell handmade items in 2015 called “Handmade at Amazon,” which is comparable to powerhouse e-commerce site Etsy. 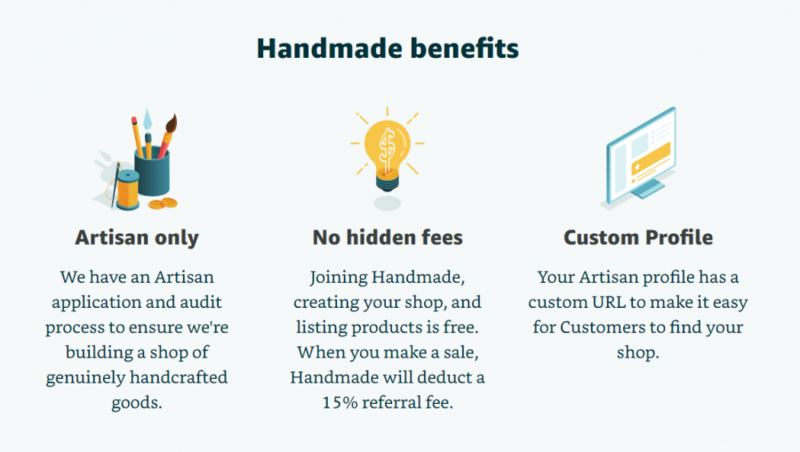 In addition to product pages, sellers also get to create and publish their own Artisan Profile to tell the story behind their handmade goods and the passion they have for the hand-crafted products they offer on the platform. Their pages are housed behind a custom URL which they can use on their websites, social networks or even their business cards to connect shoppers with their wares. Sellers using Handmade at Amazon receive the same great support and brand exposure that other Amazon sellers receive as a result of this partnership, for which Amazon charges a 12 percent referral fee for goods sold through the platform. The products sold on the platform appear alongside all of the other products offered on Amazon for a seamless shopping experience and sellers also have the option to pay to sponsor products or run promotions through Seller Central. As an added benefit, Sellers can even earn up to 10 percent back on Amazon sales that are generated from visits to their personal websites. To qualify, products available in a Handmade by Amazon store must be entirely hand-crafted by the artisan or within a company of 20 or fewer employees. The platform is currently home to artisans that produce Jewelry, Home products (Art, Baby Bedding, Bath, Bedding, Furniture, Home Décor, Kitchen & Dining, Lighting, Patio, Lawn & Garden, Storage & Organization), Party Supplies and Stationery, but the platform may add new categories in the future. 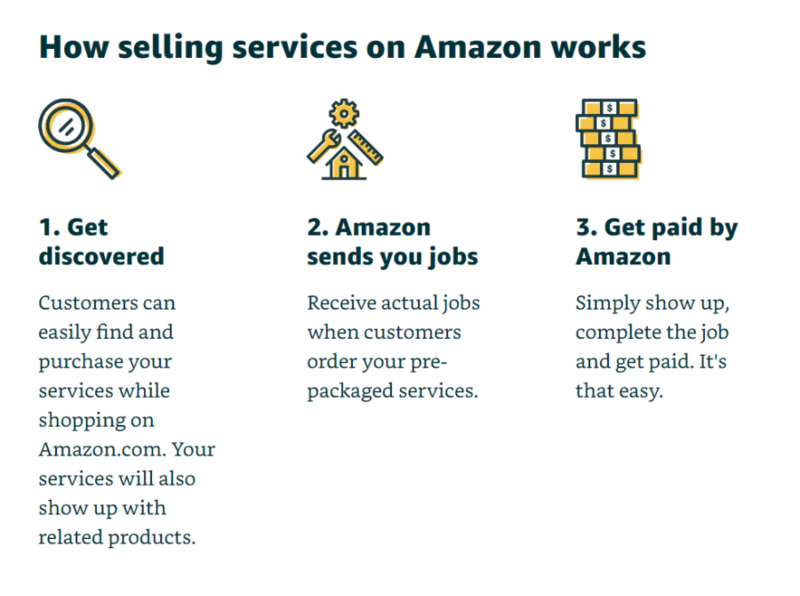 Selling Services on Amazon allows top Pros, like Assemblers, House Cleaners, Handymen, and more, to sell professional services directly to Amazon customers in their area. People looking for services in their area connect with providers via the Selling Services on Amazon App. Services sellers are required to provide all applicable licensing and carry a minimum general liability insurance. There is no cost unless you actually provide services to someone who hires you through the app, at which time Amazon processes the payment and collects their portion of the fee (examples on the site range from 15-20%, or 15% of recurring services). 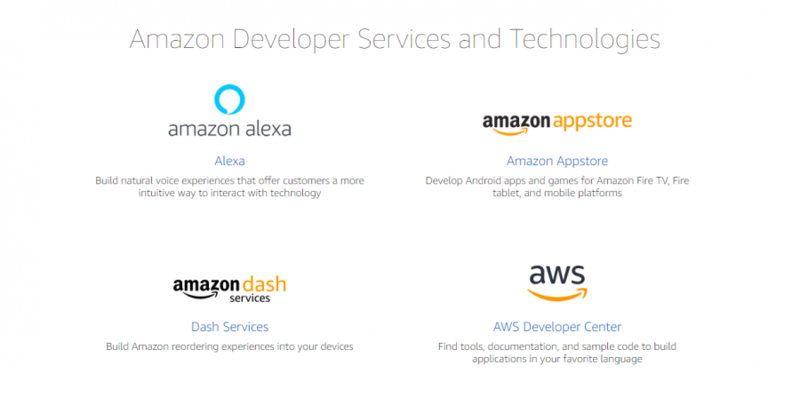 From it’s main selling platform to Alexa, the Amazon AppStore and Dash Services, Amazon is building an impressive app collection of its own. It also offers app developers the opportunity to sell their app through the AWS Developer Center, making it easier not only to market your app but even to build it. And while not officially avenues for selling on Amazon, you can also Advertise on Amazon using sponsored products, sponsored brands or stores (multi-page destinations for online shoppers). Amazon also makes it easier to accept payments through Amazon Pay, which enables shoppers on your website to make purchases with the payment information they have stored in their Amazon shopper accounts. Currently, domestic fees for payment processing are 2.9% + $0.30 per transaction, roughly equivalent to that of Paypal and other 3rd party payment processors. Amazon provides vendors with paralleled reach and access to customers in the U.S. or worldwide. However, Amazon vendors may wait up to 60 days or more from the time products sell for Amazon to forward payment to them. 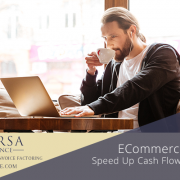 Amazon vendor factoring services make it possible for Amazon vendors to receive payment on goods sold the same day statements of future payments are generated, giving manufacturers, distributors and others who sell on Amazon the ability to reinvest in their business more quickly, instead of waiting weeks or months to get paid. 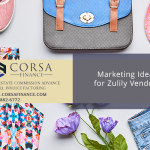 Find out more about how Zulily and Amazon vendors benefit from invoice factoring as a cash flow solution or request a free, no-obligation quote for invoice factoring services using the form below.